Ngao means “shield” in Swahili and this bracelet is just what you need to ward off those bad vibes. 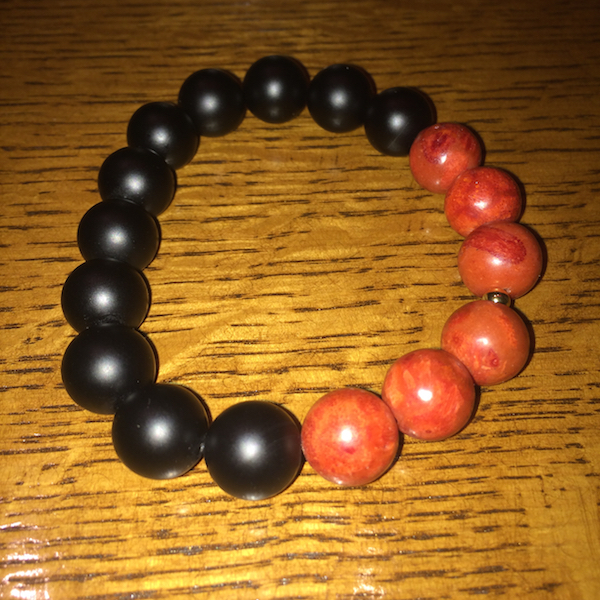 It’s made of large (12mm) matte onyx beads with six red agate accent beads, all on an elastic band. Agate symbolizes protection, strength and harmony, while onyx is said to defend against negativity. Each bracelet is handmade by SekouWrites and is intended to promote awareness about Brown Boy Bad. Limited edition. Three sizes: small, medium and large. $30 + $6 domestic shipping & handling. Moja means “one” in Swahili and this brightly colored bracelet is meant to symbolize being creative in our efforts to achieve harmony. 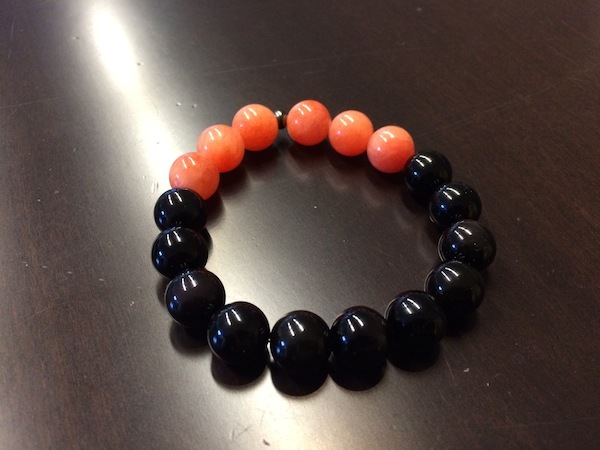 It’s made of large (12mm) glossy onyx beads with six orange accent beads, all on an elastic band. Orange is a color associated with creativity. The number six represents harmony and balance. One size (large). Limited edition. $30, while supplies last. Designed by SekouWrites and manufactured by Starling Sanders, each bracelet is intended to promote awareness about Brown Boy Bad. Limited edition. One size. $30 + $6 domestic shipping & handling.